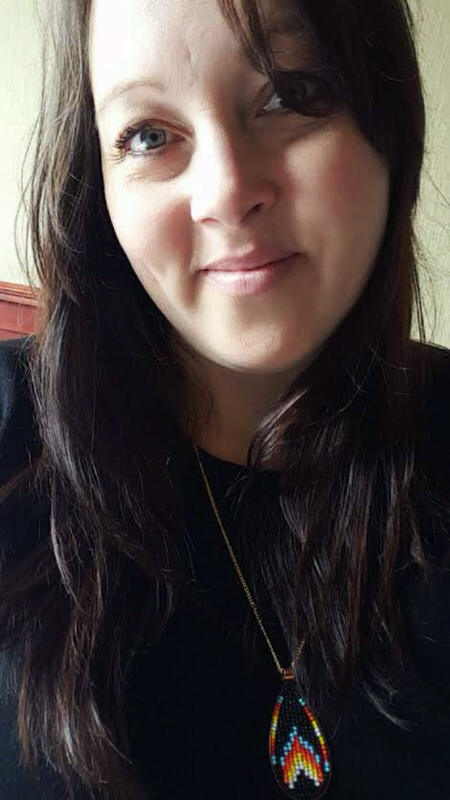 Janelle Wawia, the recipient of the second annual Barbara Laronde Award, is a self-taught artist from Opwaaganasiniing, also known as Red Rock Indian Band or Lake Helen Reserve. Janelle is fuelled by spending time with family at home and at her family’s cabin and trap line. She has always had wanderlust for journeying and believes that the seasons propelled this. She lived in her home community until the age of eighteen where she then went on a road trip with friends, exploring western and northern Canada for many years. 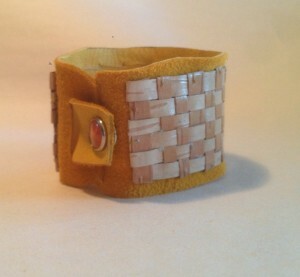 Janelle is a gifted contemporary Anishinaabe artist. 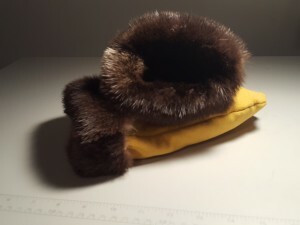 Janelle’s gift to incorporate old and contemporary painted images and traditional yet innovative fashion using fur and leather, are often influenced by the spirit world. Her gift is unique and her focus is on women and her connections to the land. 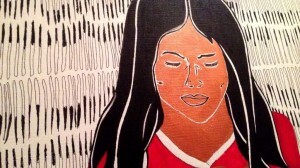 Janelle reveals her paintings and creations connect to her heart and strong Anishinaabe spirit. Her culture and connection to her upbringing, is forefront in her life. Long hair is a reflection often displayed in her paintings, which parallel her life and a source of woman’s power and strength. As a trapper on her family’s trap line, she is able to use these elements in her art work, which are innovative and practical. Her work is created to fit into fashion, traditional lifestyle and design with particular pieces symbolizing and portraying a small autobiography of her life. The elegance, gentleness and possibilities of her work brings out a desire for diverse and contemporary visual art. The variety of symbolism displayed in her art declares strength and connection to the spirit world that resonates in the deep Anishinaabe floral designs, women, references to medicine and messengers, ceremony and connection to the land.